Global Photonic Crystals Market size was valued at $34,199 million in 2015, and is expected to reach $60,230 million by 2022, supported by a CAGR of 8.0% during the forecast period 2014 - 2022. Photonics is the technology that merges optics with electronics. These crystals received attention of both academic & industrial research, and are providing new tools for the manipulation of photons. Photonic crystals are used in information & telecommunication industry, healthcare, optics manufacturing, education & research, optical sensing energy, energy & displays, and others. These are majorly used in several end use industries, as they enable the reduction of size of the photonic crystal-based components. Rise in demand for photonic crystals in LEDs, remarkable growth in R&D activities, and distinctive properties of these crystals drive the growth of the photonic crystals market. However, challenges associated with the formulation of these crystals is projected to hamper the market growth. The report emphasizes on the photonic crystals and its different types that include one-dimensional (1D), two-dimensional (2D), and three-dimensional (3D) photonic crystals. Applications covered in the study include optical fiber, LEDs, image sensors, solar & PV cells, lasers, discrete & integrated optical components, and others. 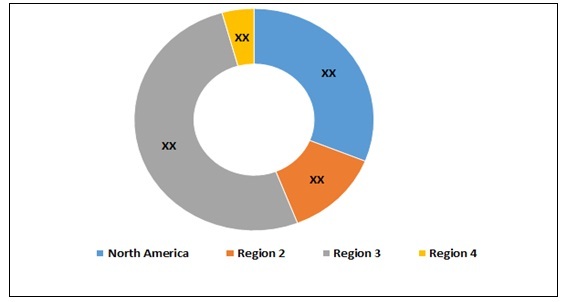 The report further analyses the photonic crystals market trends and future opportunities in several end use industries such as industrial, aerospace & defense, life sciences & healthcare, R&D, and others. In addition, it highlights different factors that impact the growth of the global market such as key drivers, restraints, opportunities, and the role of different key players in the market. Further, report presents the quantitative data, in terms of value, which are gathered majorly from the secondary sources such as company publications, Factiva, Hoovers, OneSource, and others. The data are validated after analysis from the C-level executives and directors of the companies present in the market. 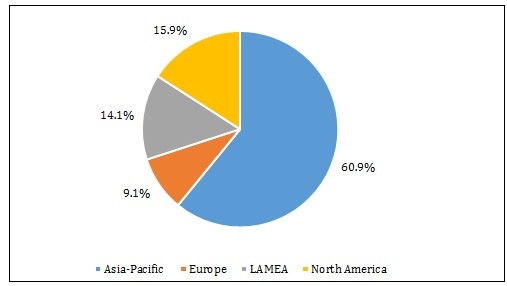 Geographically, the market is analyzed across North America, Europe, Asia-Pacific, and LAMEA. Asia-Pacific leads the global photonic crystals market, in terms of value. LAMEA shows the fastest growth rate owing to the economic development and rise in R&D activities for different application areas such as sensing, optical chip, lasers, and others. 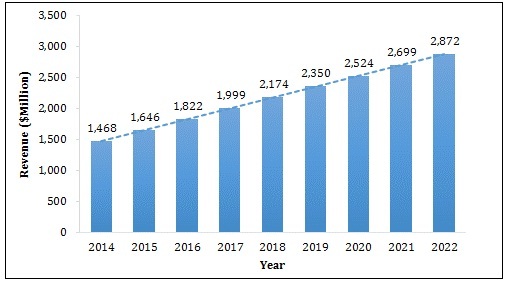 Solar & PV cells is the most lucrative application segment in the market, followed by image sensors and optical fibers. In solar & PV cells, photonic crystals are utilized to stimulate enhanced light trapping to make efficient use of solar energy. Solar energy is the potential resource to replace fossil fuel, which is expected to cater the world’s increase in demand for steady power supply, thus providing lucrative growth opportunity to the photonic crystals industry players in the near future. Asia-Pacific accounted for 60.9% of the total patents registered during 2010&dash;2017. North America and Europe accounted for 15.9% and 9.1% share, respectively, in the same period. The demand for photonic crystals is high in Asia-Pacific due to increase in research initiatives to examine the optical properties of photonic crystals and their uses in practical applications. Furthermore, growth in number of research groups and increase in government support are the major factors that boost the market growth. China, Japan, Korea, and Australia are the major countries in the Asia-Pacific photonic crystals market. Japan dominated the market with the highest share in 2015. Key players profiled in this report include NKT Photonics, IPG Photonics Corporation, Opalux Inc., Corning Incorporated, Furukawa Electric Co., Ltd., DK Photonics, GLOphotonics SAS, Photonic Lattice Inc., Photeon Technologies GmbH, and NeoPhotonics. Other major players (not profiled in report) in the market include Agilent Technologies, ICX Photonics Inc., Luminus Devices Inc., NEC Corporation, Advance Photonic Crystals LLC, Epistar, MicroContinuum Inc., Carolinas Photonic Consortium (CPC), Omniguide, and Lightwave Power Inc. 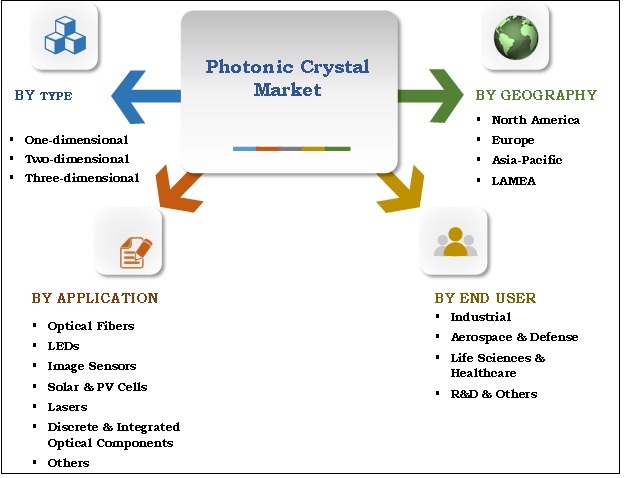 This report provides an extensive analysis of the current and emerging market trends & dynamics of the global photonic crystals market. Photonic Crystals Market analysis for all the regions is done by constructing estimations for key segments between 2014 and 2022, which assist to identify the prevailing market opportunities. This study evaluates competitive landscape to understand the competitive environment across the geographies in photonic crystals industry. 8.3. FURUKAWA ELECTRIC CO. LTD.
Photonic crystals are periodic structures in an optical medium, which create unusual optical dispersion properties. The ability of photonic crystals to control the flow of light makes it suitable for diverse applications such as optical communications, biosensors, solar cells, and others. Various photonic crystals available in the market are one-dimensional (1D), two-dimensional (2D), and three-dimensional (3D). In 2015, the 2D photonic crystal segment accounted for the highest share, occupying two-thirds of the global market. Solar & PV cells shows the highest growth rate, registering a CAGR of 8.6% during the forecast period. This is attributed to increase in importance of light management in solar cells to optimize its optical and electro-optical properties. Among end users, industrial segment accounted for highest market share in the year 2015, with almost half of the global market. Aerospace & defense shows the highest growth rate due to significant advances in optics, photonics, and photonic crystals for aerospace & defense sector. Asia-Pacific is the most prominent market for photonic crystals, in terms of revenue. Japan is the major country in adoption of these crystals in several applications, and is expected to maintain its lead throughout the forecast period. Growth in number of research groups, development of novel products, and remarkable government support are the major factors that fuel the growth of the market.